“Shall I compare thee to a summer day? Thou art more lovely and more temperate,” is perhaps one of the most romantic lines written by William Shakespeare. He may as well have been talking about London, for this truly is a city that shines when the sun is out. From its glistening views and sunny parks to scenic river walks and warm alfresco evenings, it’s enough to make everyone from toe-dipping tourists to long-term locals fall head-over-heels again and again. Love will be particularly abundant by the Thames this year (2017), with The Globe hosting its Summer of Love festival featuring a host of Shakespeare’s most romance-led plays. At Swan, Shakespeare’s Globe we have created our own foodie ode to love to run alongside these productions in the form of our new summer menu. It is filled with fondly crafted seasonal dishes made from the summer ingredients that our Executive Chef Allan Pickett adores the most, and can be enjoyed either before or after a show at The Globe or on another occasion entirely. Perhaps follow Daniel Kramer’s volatile and heart wrenching Romeo and Juliet with a hearty but still summery Slow-cooked ox cheek with broccoli, smoked bacon and a punchy wild garlic sauce. Or why not preempt hijinks and hilarity in Emma Rice’s Twelfth Night with Roast hake, cockle and samphire dressing and cocoa beans followed by a sharp pudding to match the wit of the play — a Lemon posset with citrus shortbread biscuits. If you’re going to watch Nancy Meckler’s much-anticipated King Lear, which is set to question the whole notion of family love, brace yourself for high-drama with a suitably regal Roast Barbary duck breast with braised leg, carrot purée and a honey and pepper glaze. 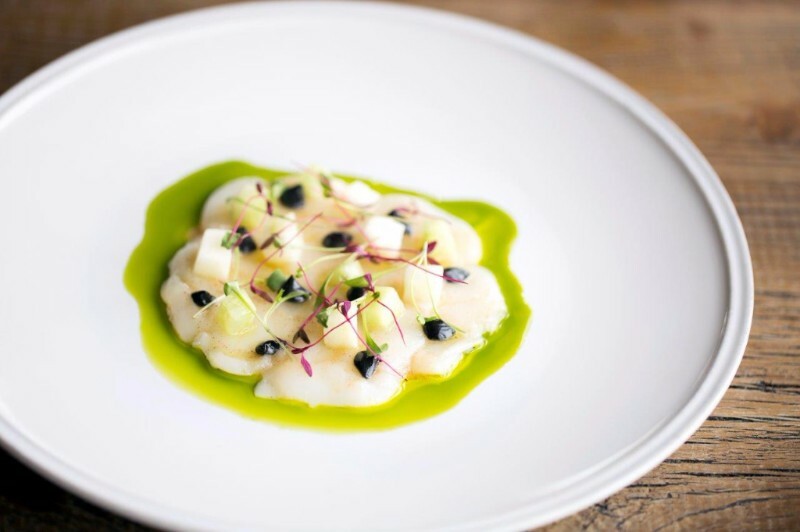 Steamed Somerset spelt with grilled asparagus and parsley purée could precede a madcap Much Ado About Nothing by The Globe’s Associate Director Matthew Dunster. 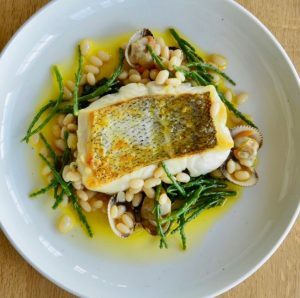 For mains there is a Mediterranean-inspired Seared fillet of sea bass hooked up with a raw fennel salad and a caper & olive dressing, and a vibrant Pea and shallot tortelloni with broad beans and onion pearls. 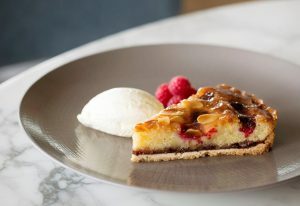 To finish, a Baked seasonal fruit tart served with fresh Devon cream is lust-worthy, while the comfort food favourite that is Floating island is given a revamp and comes with English custard, chopped pistachios and a heart-warming pink praline. These elegant dishes are, of course, perfect for eating opposite your very own Romeo or Juliet, though we promise they’re just as enjoyable with friends too. And while we all know that the course of true love never did run smooth, rest-assured our courses follow a much slicker path meaning you can comfortably call in for our three-course Theatre menu either before or after a production even if you don’t have the luxury of letting love linger. Whatever you do, just don’t delay. In the words of Shakespeare: “Summer’s lease hath all too short a date”.